In general, pronunciation cannot be derived from looking at Chinese characters, although sometimes characters with common parts have similar pronunciation. Unlike other current written languages, Chinese characters are not primarily phonetic, and certainly not alphabetic, but pictographic or ideographic (displaying combinations of pictures or symbols to convey meaning) like ancient Egyptian hieroglyphics. Hence there has needed to be a way of representing in writing the pronunciation of each character when teaching the language. Several systems have been used, but pinyin is the current standard way of writing Chinese pronunciation. Before pinyin was developed there were other systems for writing the pronunciation of Chinese words using the English alphabet. The most notable is the Wade-Giles system, settled in 1892. However, since the standardization of the Chinese language in the latter half of last century, many of the pronunciations that these old systems represent are no longer valid in China (though there are many Wade-Giles names still in common use in Taiwan). For example Peking used to be a way to pronounce China’s capital, but now in China it is pronounced Beijing. 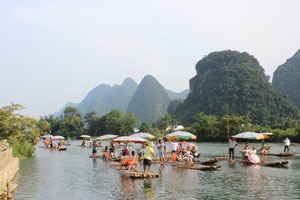 Likewise Canton used to be a way to pronounce Guangdong, a province in the southeast of China. While superseded in China, some of these old pronunciations are still in common use around the world. In the tables below is a pronunciation system that is (roughly) true to standard Chinese pronunciation (without tones), but uses the letters of the English alphabet in an intuitive way, instead of assigning new sounds to the alphabet. This system uses the alphabet to represent Chinese sounds in a way that English speakers are familiar with. 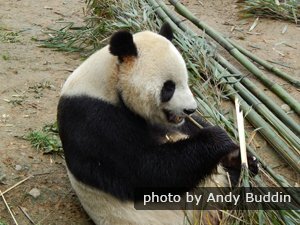 The system takes no time at all to use, and could be used as a quick guide to pronunciation for those unfamiliar with Chinese. It is sometimes used to show pronunciation on the China Highlights China Guide pages. According to this system Beijing would be written Bayjing and Guangdong would be written Gwungdong. Although the pronunciation is instantly recognizable, in cases like the Chinese word yue, written youair for ease of pronunciation recognition, the system is not as efficient as pinyin in the number of letters used. There is also the conundrum of how to represent the ow in cow, without it being mistaken for the ow in low. Pinyin is a more efficient system. It only takes a few hours to learn, and is well worth it. The International Phonetic Alphabet could also be used to represent Chinese pronunciation (see the pinyin pronunciation tables below), but it requires a ready knowledge of the symbols. Though more efficient and foolproof than trying to mimic Chinese sounds with an intuitive combination of English letters, it is not as easy to write, either by hand or typing. Therefore pinyin is a better system. Also read how to communicate with Chinese. Pinyin means to join together, or spell out, sounds. Pinyin was developed for Chinese speakers and those learning standard Chinese pronunciation, and is an efficient way of representing Chinese sounds with the Roman alphabet. It serves the same purpose as the international phonetic symbols used in dictionaries to show how English words are pronounced. Pinyin was developed during the People’s Republic of China era (from 1949). 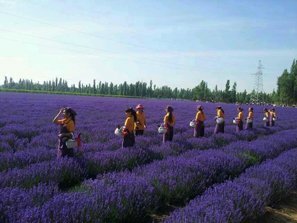 It was first approved by the Chinese government in 1958, and the International Organization for Standardization adopted it as a world standard in 1982. It is obvious that pinyin wasn’t developed for, and is often misunderstood by, the English-speaking world. This is in evidence whenever English speakers try to pronounce pinyin words without any previous study. About half the time letters in pinyin represent different sounds from what they would in a typical English word, and most of the time the vowels have peculiar sounds. Pinyin is a very useful tool to learn to get around China. The Chinese view their characters as the true Chinese written language, but pinyin can be seen on many maps, road signs, and other notices. Pinyin is much easier to learn, use and remember than characters, particularly if tones are ignored. Pinyin notation can be thoroughly learnt in a few hours (though the tongue may not be fully trained in that time—that takes days or weeks of practice), but a working knowledge of Chinese characters (3,000 characters for basic literacy) takes years of hard study. All Chinese words have a tone of some sort. The Chinese language has four pronounced tones, which in pinyin are marked with a little symbol above the vowel to which they relate, and a short, less pronounced tone, called the ‘light tone’, which is given no tonal marker (see table below). The tones could also be given alternative names according to what they sound like in English. It would seem from these names that one can’t convey meaning by one’s tone of voice in Chinese, as it is tied to standard pronunciation. However, this is not the case. Often spoken Chinese is so fast that it is difficult to pick out individual tones. Overemphasizing or mispronouncing tones as a beginner can sound quite hideous. Including tones (though vital to true pinyin) makes writing or typing Chinese a more tedious process. So, Chinese words, when adopted into other languages, are relieved of their tones. For these reasons, in this pronunciation guide, and the majority of this website, we ignore tones when writing “pinyin”. The standard unit of the Chinese language is the syllable. Each Chinese character is spoken as one syllable. Chinese words are made up of one, two or more characters and hence one, two or more syllables. * Each syllable is either a ‘final’ or an ‘initial’ followed by a ‘final’. There are only 413 syllables in common use, which represent thousands of Chinese characters (see below). See Pinyin Syllables for an instant reference between the pinyin and intuitive English pronunciation for each syllable. Initials are syllable beginnings. Finals are either whole syllables or syllable endings. Unlike English pronunciation, which is divided into a number of consonant and vowel sounds, it is more convenient to divide Chinese pronunciation into initial and final sounds. There are 21 initial sounds, all of which can be expressed roughly using English consonants. There are 36 final sounds, which are either purely vowel or a mixture of vowel and consonant pronunciation. See the table below for a full list of initials and finals. y final yao iao ja℧ yoww yowwch! There are officially 23 initial sounds. Most of the initials of Chinese syllables have exactly the same pronunciation as English consonants. It these cases the pinyin needs no explanation. Four exceptions are worth mentioning. In pinyin c represents a ts sound, q represents a ch sound, x represents a ssh sound and zh represents a j sound. In pinyin the w and y sounds are called half initials. When acting as initials they have their familiar sounds or are silent in the cases of wu and yi. When they act as the first part of a final, w is represented as u, but retains the w sound, and y is represented as i or two dots over a u, but retains the y sound. See below. Chinese education divides finals into simple finals (single vowels), compound finals (two or three vowels) and nasal finals (vowels plus an n or ng ending). Four finals that Chinese education teaches never appear in real pinyin (ün, üan, uen and ueng), however their w final and y final forms (yun, yuan, wen and weng) do appear (see table above). Alternatively finals could be divided into three categories as in the table above: those that begin with a vowel sound, those that begin with a w sound and those that begin with a y sound. There are 13 finals that begin with a vowel and that can be used to represent characters in their own right. These 13 all begin with the letters a, e or o. The other finals all require the prefixion of a w or y sound. There are nine finals beginning with a w sound. The sound w is represented as u when a w final is suffixed by an initial: for example when the final wai is combined with g in guai. The w is dropped altogether from wu in combinations (to save on letters) and not pronounced, e.g. g + wu = gu. In order to use fewer letters, wei is written ui, not uei, and wen is written un, not uen. There are 14 finals beginning with a y sound. The sound y is represented as i when a y final is suffixed by an initial: for example when the final yao is combined with m in miao. The y is dropped altogether from the yi, yin and ying in combinations (to save on letters) and not pronounced, e.g. m + ying = ming. In order to use fewer letters, you is written iu, not iou. The final yu is represented as ü in combinations. There are a few seldom used pinyin syllables, which are exceptions to the classifications above: hm, hng, m, n and ng. * The Northern Chinese dialect often includes a rr sound at the end of words. To write this requires an extra character (meaning son or child), pronounced er. However, the extra syllable, usually associated with the character er, is not pronounced. Instead the rr sound modifies and becomes part of the preceding syllable. In this case there is one more character than there are syllables in a word. 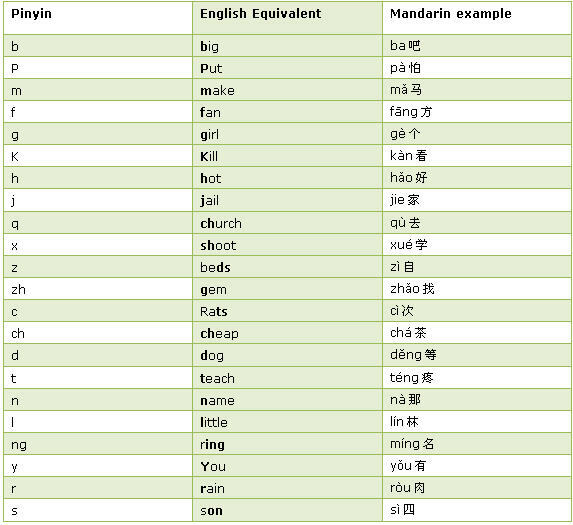 The following are tables showing examples of the Chinese pinyin system. See below for a thorough explanation of pinyin. 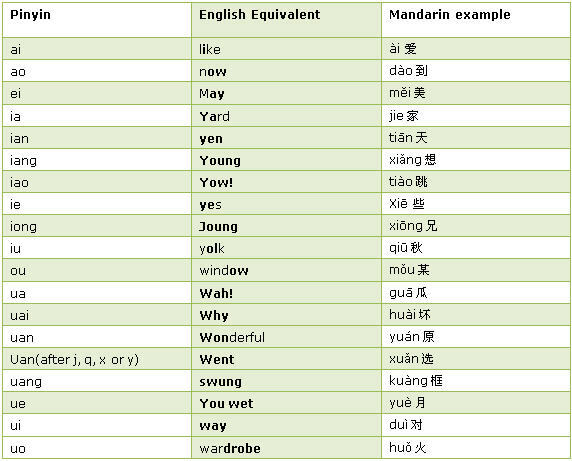 Mandarin has quite a few dipthongs (composite sounds) and vowel and consonant combinations. Tone plays a very important role in the meaning of the characters. Different tones in pinyin will lead to different character and meaning of each Chinese word. 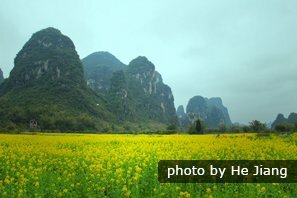 There are mainly four tonal categories in pinyin: high, rising, falling-rising and falling. A different tone in pinyin will indicate a different character, and the meaning will also be different.